Golden Star Resources Ltd. announced that it has more than doubled its inferred mineral resources estimate for its Wassa Underground mine. 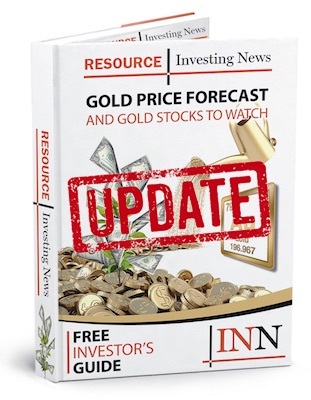 Golden Star Resources Ltd. (TSX: GSC) announced that it has more than doubled its inferred mineral resources estimate for its Wassa Underground gold mine in Ghana. By more than doubling the Inferred Mineral Resources at Wassa Underground, we have begun to demonstrate the compelling potential of this asset in the longer term. We had believed for some time that Wassa was a larger deposit than previous estimates suggested and as the deposit remains open to the south, we believe that further upside exists still. Wassa Underground has ramped up well and this operational success forms a solid foundation for the next stage of the mine’s growth. We have under-utilized capacity within Wassa’s processing plant and the southern portion of the deposit represents the potential to ‘fill the mill’ and increase production. I am looking forward to commencing the PEA and to exploring further the viability of this strategy. Click here to read the full Golden Star Resources Ltd. (TSX: GSC) press release.